Chinese telecommunication equipment and smartphone manufacturer Huawei is gearing up to showcase a mobile device with a foldable design at the Mobile World Congress 2019. The device would also be company’s first to support 5G network and connectivity. The device is expected to be from Mate-series. According to a recent leak, the phone would go by the ‘Mate X’ title. In retrospective, the Mate-series is Huawei’s premium flagship series and is usually launched in the second half of every year, similar to how Samsung go with the Galaxy Note-series. Talking about Samsung, the South Korean electronics major on February 20 showcased its first foldable device, along with the Galaxy S10-series, including a 5G-ready smartphone. Named Samsung Fold, the foldable device will be available from April. However, it will come with 4G network support only, and the 5G variant would be introduced later in future. Huawei, on the other hand, has different plans for its foldable device. It will support 5G out of the box. 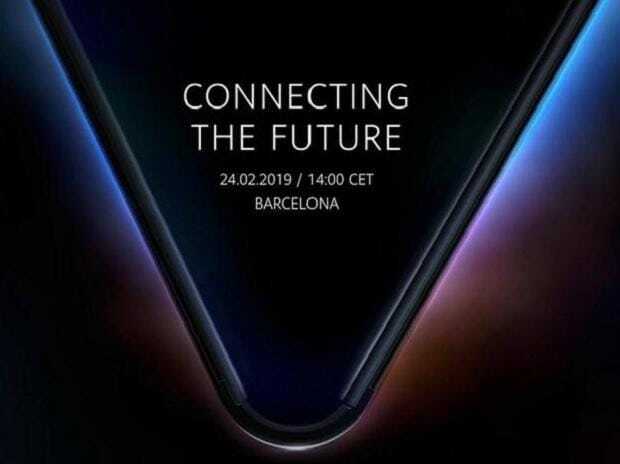 Unlike the Samsung Fold, which has a bendable display that fold inwards, the Huawei’s foldable device will have a bendable screen that will fold outwards.